Beverley Minster is a hive of activity as members of the congregation and artists work their magic ahead of Remembrance Sunday. 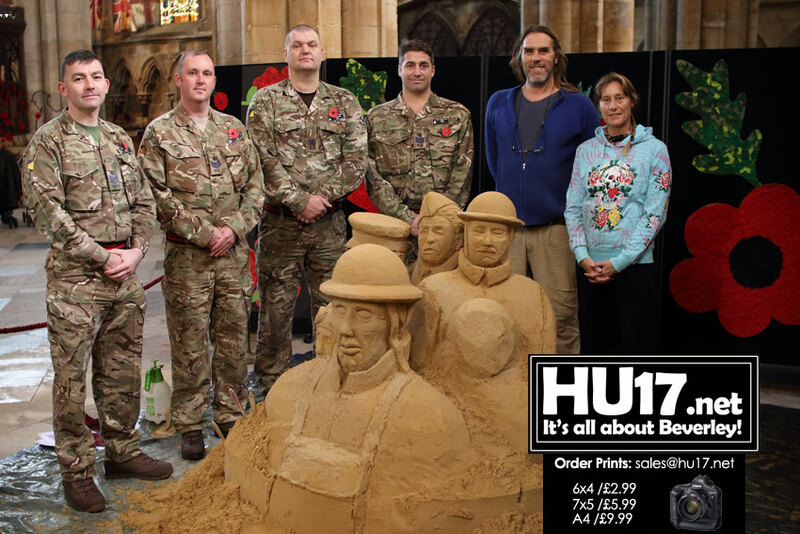 Beverley’s most iconic landmark is being decorated with poppies while there is also a poppy and sand sculpture on display. Local schools were also asked to get involved and create art based around poppies. The response was immense with the Minster having to expand on the space allocated for displays. Works supplied by the schools will be used to create displays within the Minster while also adding to what is a very prominent day. Beverley Minster has been flat out trying to get everything ready in time for the service this Sunday. Up against it, help has come from soldiers based at the Leconfield. 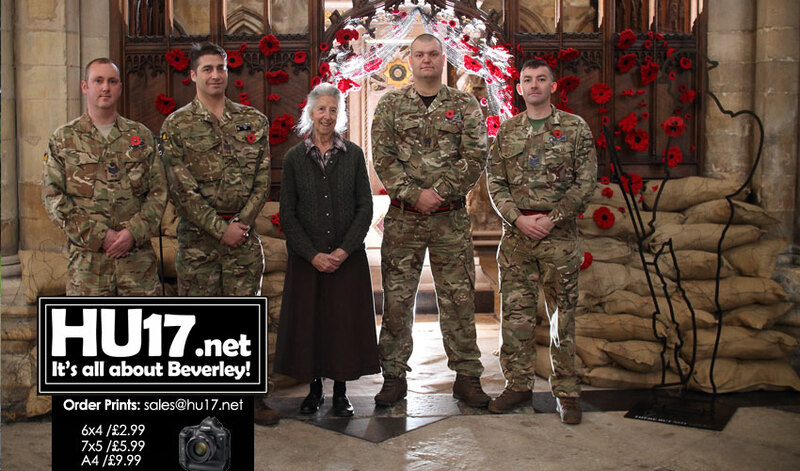 Five men from the base were visiting the Minster to observe the poppy installations. While there they offered their services to help get things set up. The five men rolled up their sleeves and wasted no time in lifting and moving things about. 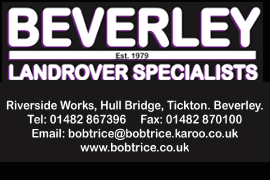 They said there were very pleased to help and were impressed with the effort Beverley Minster has made. For the past few weeks, members of the congregation have been making Poppies and filling sandbags for their displays. Work is also well underway by local artist Paul Hoggard on a special sand sculpture that will remain on display until 26 November. Beverley Minster will be the focal point of the East Riding on Sunday. Dignitaries, guests, service personnel past and present will attend the Remembrance Day service. Anyone wishing to attend the Remembrance Day Service at Beverley Minster should get there for 10.30AM. This will be ahead of the arrival of the parade with the actual service scheduled to start at 10.50AM. Following the service, a parade will take place in the town centre. A second service and wreath-laying ceremony will then take place in Hengate Gardens.